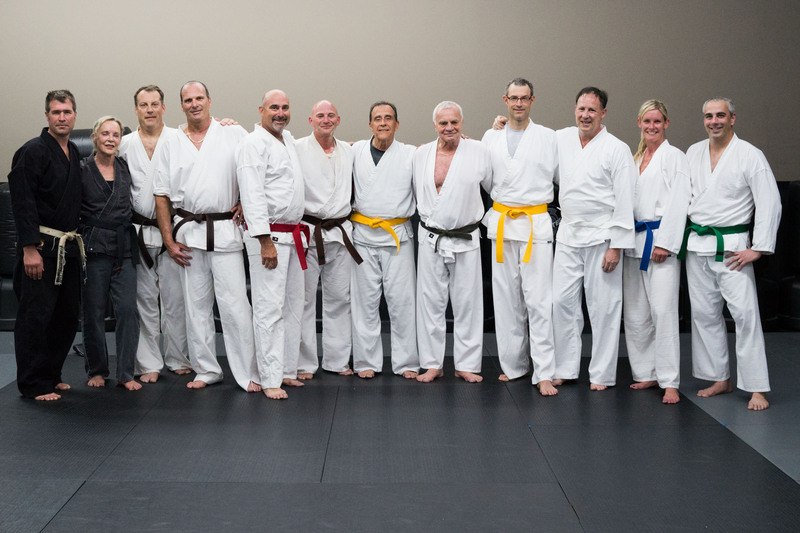 Joey Imperatori has a karate studio that is more than a school – it is a community. Women, men, and in many cases, entire families train in an atmosphere that promotes a drive towards excellence. Veteran students encourage others to excel during workouts, and engage in friendly competitiveness akin to that of siblings. New students feel the positive energy and are at home from the first class. Train hard. Train forever. The unique quality of Imperatori Karate is that goals and structure keep your training on course. There are six techniques to demonstrate when you test for a White Belt on the tenth class. Stripes on this belt are short-term goals, and other belts to follow give mid-range rewards of progress. 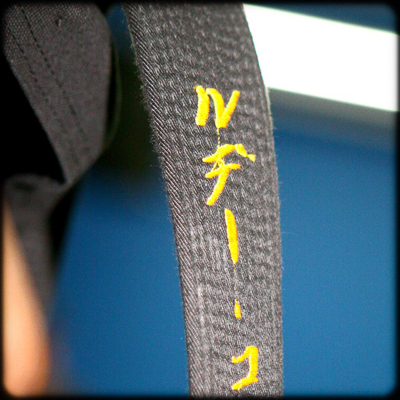 A Black Belt is years away, but you train with this goal on your long-term list of future accomplishments. The achievement of these stripes and belts punctuate your steady progress. Quality of life and health are continually improved with increased flexibility, strength, balance and cardiovascular health. Fad workouts come in and out of style, largely because long-term growth is limited. 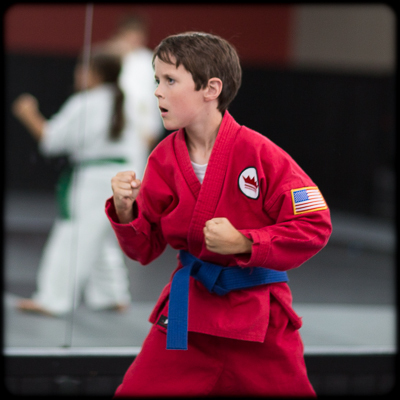 Experience an exercise that is ever challenging and always rewarding – Imperatori Karate. Imperatori Karate is a blend of techniques practiced with self-defense as the focal point. Many styles of the martial arts are very traditional, and although valuable for cultural and historical purposes, practicality is often peripheral. 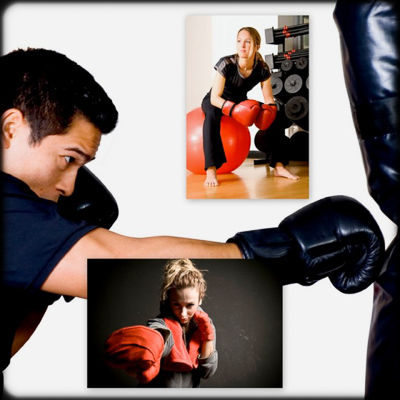 Applying punches from boxing, kicks from Japanese styles, and a variety of knee and elbow strikes, you will begin to feel empowered after the very first class. Executing these techniques with full force into targets and punching bags leads to strength and accuracy, giving you the tools to defend yourself and, ultimately, the air of quiet confidence that would-be predators detect and avoid. This external and internal power will grow and sharpen over time with your practice and our guidance. Trickle down improvement? You bet! As a person becomes more fit and refines the skills of self-protection, the positive results affect all other areas of his/her life. Improved physical stamina counters fatigue. Greater confidence and self-esteem lead to relaxed yet assertive reactions and relations. Punching, kicking and yelling certainly provide a great outlet for the stress encountered in daily life! 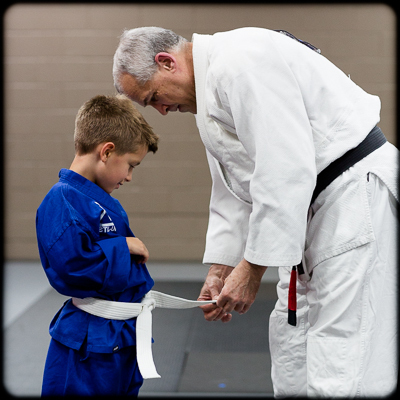 Achievement of stripes and belts correlates to achieving goals in other areas, and investing “sweat equity” towards the far-away Black Belt teaches the important lessons of delayed gratification, self-discipline, and perseverance on goal.